We looked at data from over 2500 small businesses, saw what worked and what didn't, and turned those insights into a 3 pronged actionable plan. Get it free by entering your email below. Do you ever see a marketing campaign and your first thought is “what in the world were they thinking?” Yes, we’ve all been there. Sometimes these things go viral, and sometimes they just go unnoticed because they were plain crappy. Businesses are trying to navigate a very noisy world, and getting their marketing messages heard has become increasingly difficult. But there is a fine line between genius and insanity, and while most businesses navigate this line effectively, there are certain ones that seem to ignore it completely. In fact, they went so far past the line they can’t even see the line! The line is just a dot to them! (And yes, I just stole that line from Friends). Anyways, here are 15 of the absolute worst marketing campaigns from 2014. Read about them, learn from them, and above all – don’t copy them! The first of our worst marketing campaigns for 2014 has to go to Malaysia Airlines, who at the center of 2 tragic lost airlines in 2014, should’ve been more conscious of their marketing. 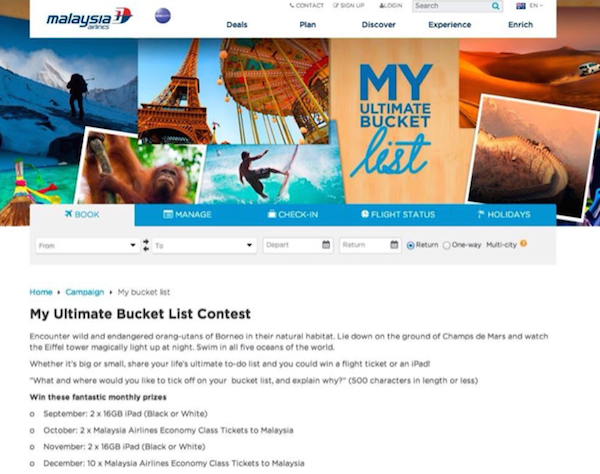 In a competition, the airline asked their audience to answer the question “What and where would you like to tick off on your bucket list, and explain why?” The competition was open to participants in New Zealand and Australia, who would be eligible to win IPads or economy class tickets on the airlines. But what Malaysia Airlines didn’t take into account was the concept of a “bucket list” and its connection with death. With its recent tragic history, Malaysia Airlines showed a crude lack of empathy and sensitivity towards the situation, and people were quick to call them out. The links to the competition were canceled, and people were asked to describe destinations and activities on their “to-do” list instead. However, people were quick to point to other signs of insensitivity on the site, signally that the damage was already done. In another example of cruel insensitivity, Ogilvy India depicted Malala Yousafzai being shot by the Taliban and then bouncing back off a Kurl-On mattress to accept a humanitarian award. We deeply regret this incident and want to personally apologize to Malala Yousafzai and her family. We are investigating how our standards were compromised in this case and will take whatever corrective action is necessary. In addition, we have launched a thorough review of our approval and oversight processes across our global network to help ensure that our standards are never compromised again. But it’s hard to imagine how such a poster could have passed through so many hands unnoticed. Kayak, a popular travel aggregator site, produced a commercial featuring an elderly woman that hit a few nerves back in January 2014. 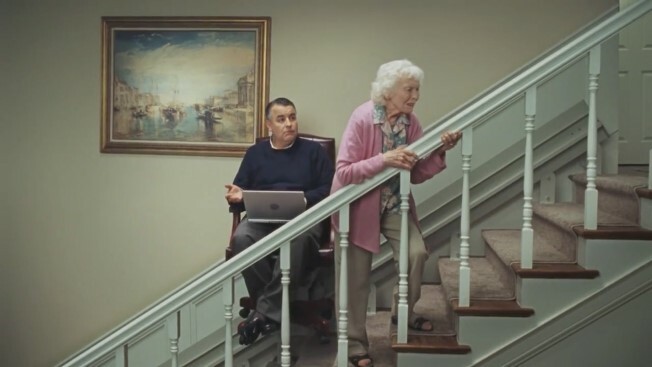 In the commercial, a middle-age man has commandeared his elderly mother’s chairlift so that he can continue to work and go upstairs. While on the chairlift, the man passes his weakened, wheezing mother and ignores her suffering to brag about the great deals he’s found online. Many viewers found the ad’s treatment of senior citizens distasteful, while others found it hilarious. Watching the ad, I can’t help but agree with the former. Levi’s Jeans decided that it need to broaden its appeal, and to do so launched an ad campaign for its new Curve ID jeans. But what started out as an inclusive marketing concept, somehow lost its way when Levi’s selected “skinny” models to show off the new jeans in their ads, women who didn’t represent the campaign’s target demographic. 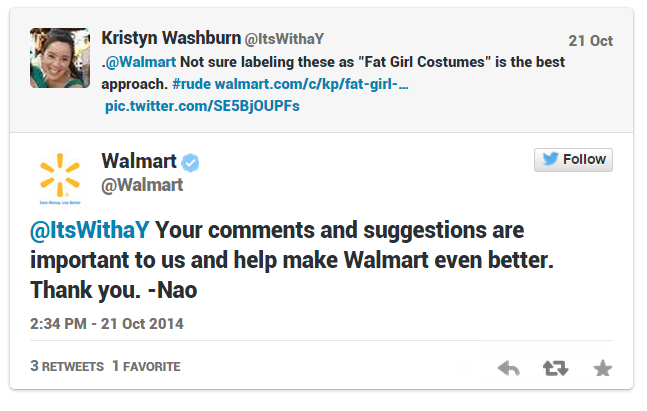 Suffice to say that there was a lot of negative response to the campaign, and a huge loss in customer goodwill. It looks like someone of their marketing campaign needs to take some lessons in creating buyer personas. Not alone in their ridiculously off-target marketing campaigns, Victoria Secret joined Levis in making their target demographic angry, frustrated and alienated. There’s nothing more cringe-worthy than someone trying to get rid of your product – especially when you’ve given it away for free. 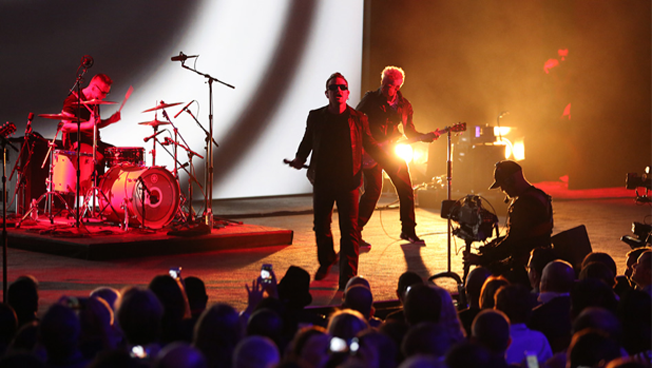 This year’s biggest marketing fail campaign has to be from U2 and Apple’s collaboration when it forced U2s new album onto 500 million desktops and iPhones, regardless of whether each user wanted it or not. The criticism was swift and merciless, and Bono later admitted that they “might have gotten carried away with [themselves]”. McDonald’s is the leading brand in fast food, but after it went through the mill with Fast Food Nation and the mainstream movement of eating local, organic foods, you’d think they’d proceed with caution. MacDonald’s almost made it too easy, and people were quick to use the hashtag to highlight not-so-favorable #McDStories. While the hashtag was pulled after a few hours, the effects of the campaign have had a long lasting effect. In 2014, we can pretty much safely assume that the majority of our target demographic are modern thinkers, and as such, have a more modern view on what a “typical” family looks like. One stereotype in particular that’s been challenged is that it’s the mother who’s the main caregiver for the children of the family, and that the father is simply the “breadwinner”. Unfortunately, Huggies missed the memo. In the campaign “Have Dads Put Huggies to the Test,” dads were shown as being inattentive to babies with full diapers… but not to worry! Because Huggies diapers can handle anything. Even neglectful fathers. The backlash against the ad was so severe that a petition was launched called, “We’re Dads, Huggies. Not Dummies” to remove the ads. Huggies eventually removed the ads. Nesquik’s marketing campaign was centered around #nationalbunnyearsday where people were encouraged to use a mobile app that “bunny-fied” photos by adding in cute bunny ears. Not a bad idea, huh? To celebrate reaching 1 million followers on Twitter, the New England Patriots created an awesome retweet campaign that would “say thanks” by auto-generating digital images of Patriots jerseys featuring people’s Twitter handles to any followers who tweeted #1MillionPatriots. Of course, any campaigns like this should really have a delay on the other end, with a person on hand filtering through the responses so that no repeat-Mountain Dew catastrophes are allowed to take place. Apparently, they missed that incident, and as the campaign gained traction, the trolls came out to play. 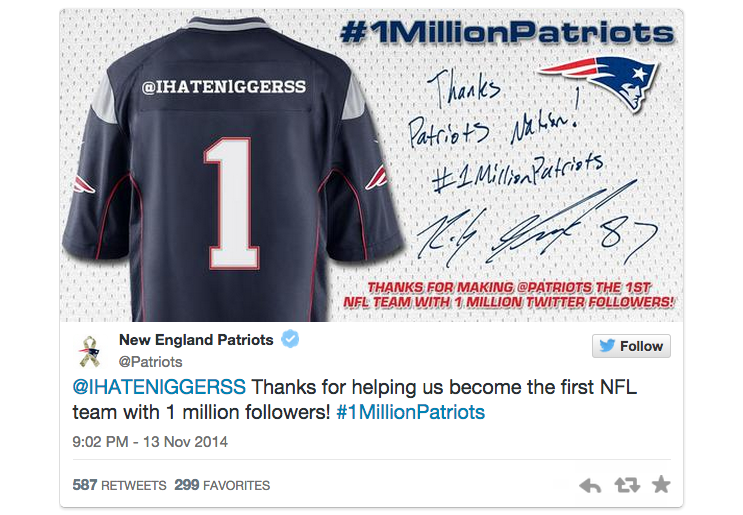 What happened was a seriously inappropriate, incredibly offensive Twitter handle was created (that I won’t re-post here, it was that offensive), which then became plastered across the back of digital version of a Patriots jersey, which was then retweeted by the team. Of course, the Patriots apologized, but they’ll forever be connected with that awful incident. Sexist ads are pretty common unfortunately, to the point that most of the backlash doesn’t get much traction. However, that does not mean that you should align yourself with the practice, like Sony did with their Playstation Vita ad. The ad starts with a female doctor asking her “patients”: “How many times did you do it yesterday?’ she then continues with a variety of other innuendos before it’s revealed that she’s talking Remote Play for the PS Vista. Sony quickly pulled the ad from its YouTube channel after bloggers and others found it sexist, but they didn’t offer an apology and declined to comment on the situation. Wait to handle being called-out with dignity, Sony. Although 2014 was a great year for female empowerment, there’s always 2 sides of the story. 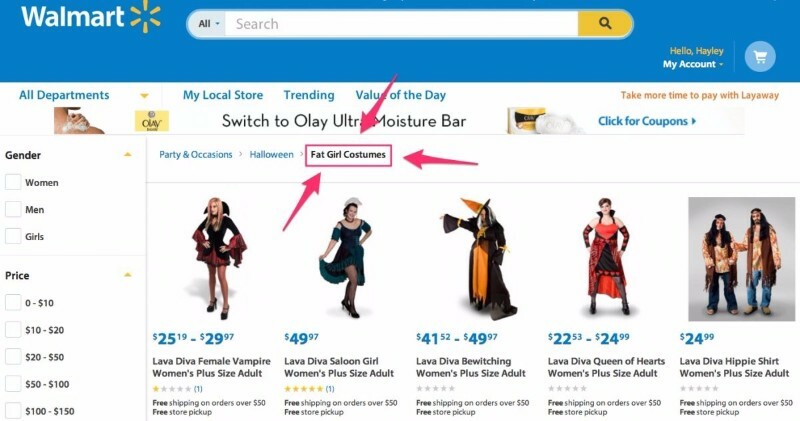 Subway decided to tap into the “sexist-commercials-that-we-all-know-and-hate” market with their Halloween costume promotion. Imagine you’re sitting in your boardroom, trying to drum up some ideas for your new Cadillac model. What do you say? “Do you know what’s great about Americans? Their consumerist, materialistic culture. Yep. Definitely. Let’s market to that”. Anyways, the ad sparked some serious criticism, with one headline reading: ‘Poolside’ Commercial Is Awesome for Xenophobes, Not So Much for Selling Cars.” And while Cadillac fuelled money into running the ad on expensive broadcasts such as the Olympics and the Oscars, sales of the car have been relatively weak. 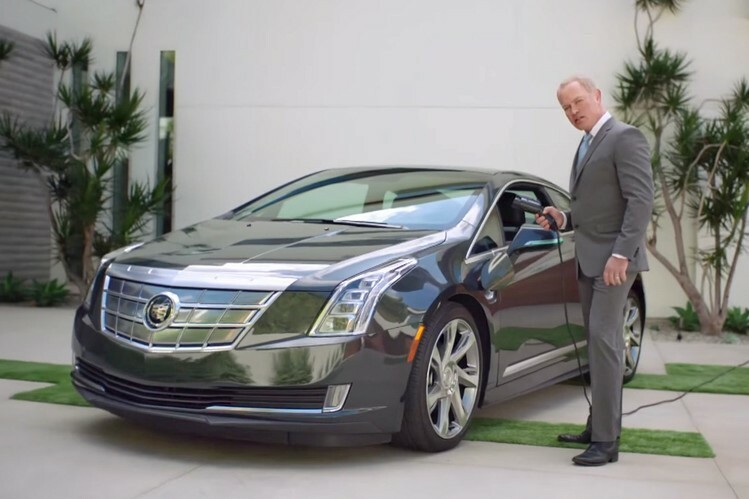 Cadillac recently moved its ad business to a new ad agency. What did you read first?? 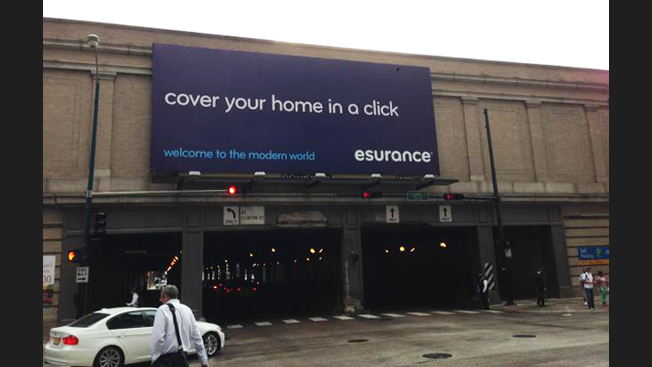 The ad that says “cover your home with a click” was read by many viewers of Esurance’s ad in a different light. The font allows the “c” and the “l” to kind of mash together… resulting in bouts of laughter on my behalf at my desk (apparently I am that jouvenile, who knew?). The online insurer quickly pulled down this innocent-seeming billboard over the summer. While bad marketing campaigns aren’t necessarily the end of your business, it can be a lot of waste money, bad reputation, or a loss of customer loyalty and trust. In order to avoid such catastrophes, it’s best to be as sensitive, understanding and clever with your marketing that you possibly can. What are some of the worst marketing campaigns that you’ve seen? Please comment and share your stories with us! Get more like it, straight to your inbox! From social media to SEO and lead nurturing. We're sharing everything we know about content marketing. What a great list!!! I can remember a few years ago the Super Bowl commercial for GoDaddy. It’s about the geeky nerd who made it to first base with the hot model. I thought it was very tasteless and highly offensive. It’s sad that companies are trying to be more and more offensive instead of just being themselves and talking to their audience. It can be done, but I suppose shock is the name of the game. I am almost certain that each company you listed with an apology knew exactly what they were doing. They just thought they could get away with it and then be remembered for it. Great post. Have an awesome week Sarah!!! Glad you liked it! There sure were a lot to choose from. Thanks so much for stopping by and commenting Don, have a great week! 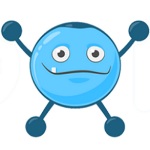 The Spokal A-Z Guide to Marketing Terms (learn what all that jargon means). And a mini-guide on how all the different content marketing pieces fit together.